MacGyver gets a call from an old college flame, Amy, who asks him to come help her because she’s in trouble. Amy has found some evidence of a uranium theft at the nuclear power plant where she works, and the perpetrators are after her. MacGyver and Amy find the stolen uranium and prevent the full-scale meltdown of the nuclear plant. MacGyver is wearing a helmet and hockey gloves while he is playing. MacGyver goofs with Susan by doing the entire scene in a funny faux Canadian accent. I loved table hockey and soccer as a kid, and this rink looks fantastic. It’s covered with clear glass or plastic, and it looks like it’s USA vs. USSR. By the way, wanna know my secret for being a champion table hockey or soccer/foosball player? Always keep one hand on the goalie. I’m a Susan fan. She only makes a brief appearance as MacGyver’s “friend” in this episode and in Countdown, where I remember MacGyver drops an egg on her foot. Despite her lack of screen time, she seems like a nice lady and fun to be around. She'll be my first addition to the Love Interest rankings (though we'll add Amy later also). We get to hear MacGyver’s answering machine message, "Hello, this is not MacGyver, so obviously you’ve reached the wrong number." Good stuff. After Amy and MacGyver share a kiss for old times sake, she says, "I still remember how you taste." Yikes, did she just actually say that, or did I black out? Let me rewind the DVD . . . yep, she said that. MacGyver and Amy get locked in a radioactive nuclear waste disposal chamber which has been activated. The time lock on the door will open in 60 minutes, but the radioactive sludge will pour in and kill them in 10. MacGyver messes around with the wires and hits the time clock with a "hot electrical surge" setting up a "violent secondary vibration." Let's add this one to the MacGyverism list. I was immediately surprised by the lack of the opening song. I was wondering if maybe there was just not going to be a song when it finally appeared at the 6:46 mark. This isn’t like one of the early episodes with the opening gambits because those openings were unrelated to the rest of the story, unlike this one. Why does the bad guy in the yellow hazmat suit stop to slowly hang up the phone instead of continuing to chase Amy? Flashback! MacGyver pulls up in a leather jacket riding a motorcycle. He says they’ve been offered a position as cooks on a freighter in the Greek islands, and he signs her up without telling her first. She's not too happy, because I guess the idea of leaving college early to be a cook on a freighter isn't her cup of tea. 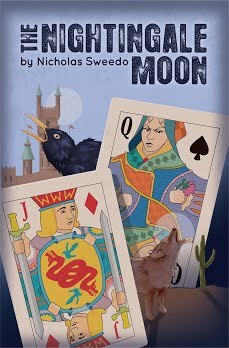 She wants a stable life and to get a job at the new nuclear power plant in town, but MacGyver wants to get out and see the world. I like how the music on the radio switches from upbeat Crocodile Rock to melancholy Time in a Bottle as the relationship ends. Whoa, car bomb! Kind of a shocker. I forgot about that part. While MacGyver is looking at the car bomb fragments, Tim comes up and says hello. We learn later that Tim, MacGyver, and Amy were all in science club together. Tim: MacGyver? It’s Tim. Tim Wexler. 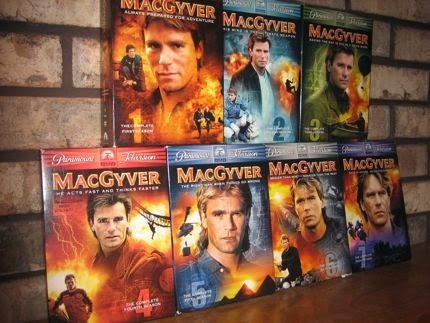 MacGyver: Tim. It’s been a while, huh. [said without expression and in the most quiet and unenthusiastic way possible]. Speaking of Tim, did you know he is played by Robert Englund, who was Freddy Krueger in the first five Nightmare on Elm Street movies? I’ve never seen those movies, but it’s hard to picture him as a horror villain from this episode where he seems soft spoken and a bit nerdy. I suppose that speaks to his ability to play multiple characters. When Amy says "I haven’t slept in 36 hours," I remember as a kid being shocked by that and thinking that was impossible. We learn that MacGyver carries a handkerchief. So does my dad. I experimented with one as a kid. In a way, it’s a little sad that they’re out of style. In another way, that’s probably a good thing considering they can get pretty gross. So where exactly are they? MacGyver got on a plane to see Amy, but there are still California plates. That must mean Northern California. A quick check of google maps shows there is a Westport Beach north of San Francisco. So there you go. As Tim is pointing a gun at them, MacGyver decided to walk away, believing that Tim wouldn't shoot them. Amy: Mac, just how well do you read people? MacGyver: I’m taking the final exam right now. Why wouldn't Tim shoot them if he was willing to lock them in the radioactive chamber? "I hate heights, and I despise guns, so how the hell did I get myself up here?" ~MacGyver. Runner up for memorable quote. Lots of saxophone in season 1. Any time there's a possible love interest, we hear the sax. I always watch the closing credits after each episode, and every once in a while there's a little guitar riff at the end that's a nice surprise. Listen for it at the 20 seconds left mark. I know, I'm strange. Good episode here! It's nice that we're finally getting into some good ones. Lots of material to work with. It's a little lower on my rankings just because there aren't a lot of great moments that I get excited about, and the nuclear power plant is kind of a drab, depressing setting. I like Amy more than I remembered, so she will score well on the Love Interest list. She's smart, capable, and she and MacGyver have good rapport together. She fawns over him a bit too much, but MacGyver could certainly do worse. I I’ve been a little slow lately with my recaps—I’ve been catching up on season 2 of Homeland (Christmas gift). But have no fear, the MacGyver countdown will continue, slowly but surely! I was lukewarm on this one. Just seemed kind of B-movie-ish at times. My favorite part was when MacGyver watched what he thought was Amy's car blow up, a moment that was genuinely shocking until we found out everything was not what it seemed. The scene in the disposable chamber was fun too, but the narrative was inconsistent (she told them they'd be fried long before the waste emptied into the chamber, but they got out two seconds before the waste came pouring out and weren't fried). I didn't care for the ending so much. It wasn't a bad episode but definitely not my favorite. I ranked it #121. I do rank this one a little higher than you do though. This episode along with Countdown stand out to me as the only season one episodes not that memorable, thought they aren’t even bad. This one has a great start – table hockey, a very cute landlady, MacGyver in hockey gear and a vs. USSR as a bonus – and the plot has some nice turns, the cat exploding then Amy turning up at supposedly her own funeral were great shockers! Not a very good place to stash the documents and Amy could have just picked them up again and left with them once the guy was past her! And she never thought Bonnie could get killed after what happened to the boss? I think MacGyver’s lack of enthusiasm in greeting Tim was down to Mac being upset about the recent death. “I haven’t slept in 36 hours.” I used to have that at the uni, staying up studying the day before tests, along with many other students. Whatever you do, don’t fall asleep! It’s nice to see a paper clip alongside the Swiss army knife in MacGyver’s pocket but not the handkerchief... ugh. I can feel for MacGyver, I remember climbing 3-4 stories up to rooftops through fire ladders a couple of times as a kid because we egged each other on... was not at all pleasant. I always tried to get over and done with the 4m rope climbing at PE as quick as possible and never climbed trees higher than that. Getting a seat at the top of Croke Park years later was quite memorable also. I was a bit shocked to find out that the backs of the seats in the next row down weren’t even up to my knee and I felt like hanging in the air, so, crouching and holding on to the seats I went down to the outermost row were there was a chest height railing that made me feel safe and I was fine from then on. I’m picky about rides but I usually get on the Booster one if I see it for the view when it stops 40m up. Pity I can’t take pictures as the seats spin before and after the stop. I have no idea how they could be comfortable waiting around in the disposal chamber but I liked the way they got out, and the scene when they walk away from Tim. As soon as they do you know he wasn’t the one locking them in the chamber. And it’s good that Amy picked Train’s gun up, not leaving MacGyver a chance to throw it away! When McGyver twisted the plug off with the gun, he was turning it right? Good catch! I don’t know why. I thought I would find this one boring, but I liked it more than the previous episode, Deathlock. It was more mature, and the threat seemed more real. I'm missing the great adventure and MacGyverisms of some of the earlier episodes, though.